State Sen. Michael Baumgartner wants to be Spokane County's next treasurer. 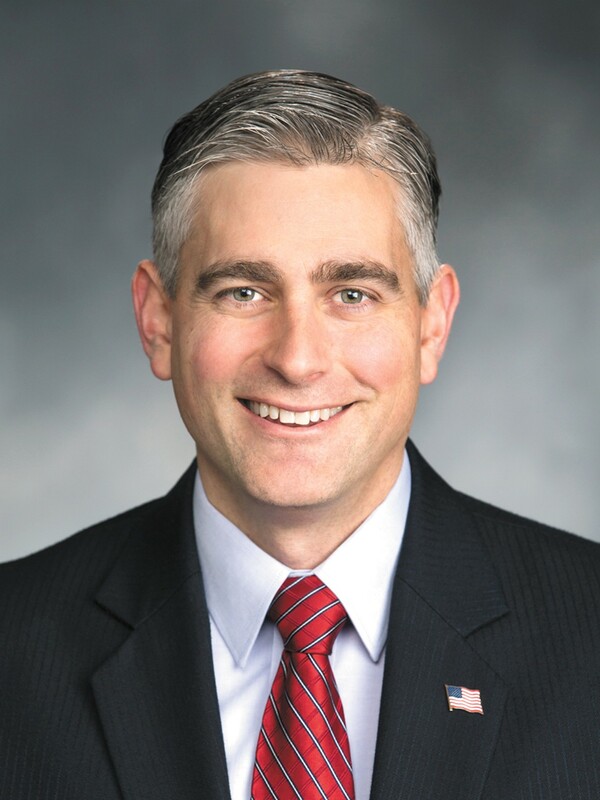 Last week, Washington state Sen. MICHAEL BAUMGARTNER, R-Spokane, among the more quotable members of the Legislature, announced that he was not going to run for re-election to the state Senate. Instead, he aims to run for a seat much closer to home: Spokane County treasurer. Current Spokane County Treasurer Rob Chase, who already promised to stick to only two terms as treasurer, officially announced he wouldn't run for a third. He endorsed Baumgartner. That just left the question of who was going to run for Baumgartner's open Senate seat in the 6th District. "I had the honor of being asked to follow Michael and fill his Senate seat," says Washington state Rep. Jeff Holy, R-Cheney. Even before Baumgartner announced he wasn't going to run for re-election, his would-be Democratic opponent, health care community organizer Jessa Lewis, was gearing up to run against him. Fifteen years ago, Lewis says, she used to be an Evangelical Republican. "As the result of an assault, I became a mother and was judged and blamed in the community," says Lewis. "I ended up becoming homeless. I learned, when real life happened, why there's a safety net." That caused her to become a lot more progressive. She wants Washington state to pursue universal health care coverage for all. She supports two-year tuition free college. But not all of her positions are necessarily beloved on the left. She says she's concerned about the overreach of regulations. She has a concealed-carry permit. And she's skeptical of Washington state's per-mile gas tax. It's unfair, she says, "if you live in these rural districts and you have to drive 60 miles to get groceries." The original print version of this article was headlined "Count It!"